You love your kids and you want the best for them. What if in striving to do what is best for them, you actually stifle them or even harm them? Not many parents admit to making any mistakes in their parenting. It’s too painful, too personal, and feels too vulnerable. 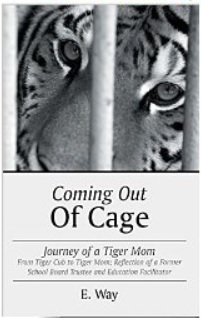 E. Way risks all of this in Coming Out Of Cage: Journey of a Tiger Mom as she courageously explores how her parenting influenced her daughter’s post-traumatic stress disorder. After working hard to get her daughter into a prestigious college, E. Way was ready to celebrate having both her kids successfully launched. However, the feeling of relief was short-lived. Besides mental health issues like PTSD, what are other signs of serious emotional problems in children?